Queen’s Senate has announced the appointment of Professor Ian Greer as the new President and Vice-Chancellor of the University. The appointment was approved this morning (Thursday, 25 January) at a special meeting of Senate, following consideration of a report and recommendation from the Selection Committee established for this purpose. Professor Greer will be the University’s 13th President and Vice-Chancellor and will take up post on 1 August 2018. 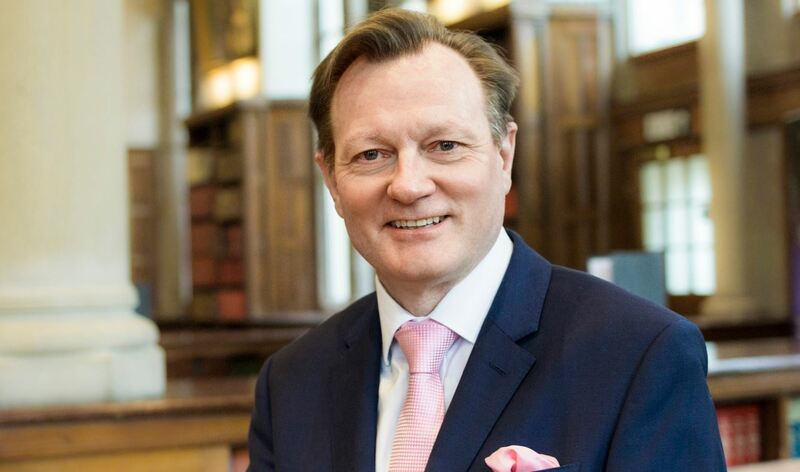 Making the announcement, Pro-Chancellor and Chair of Senate, Mr Stephen Prenter, said: “I am delighted to announce the appointment of Professor Ian Greer as our new President and Vice-Chancellor. Professor Greer has an international reputation of academic excellence and has held major strategic and leadership roles in higher education for some 25 years, most recently at The University of Manchester and at the University of Liverpool. He joined the University of Manchester in 2015, where he is Vice-President and Dean of the Faculty of Biology, Medicine and Health. Professor Greer’s clinicalpractice and research focuses on medical disorders in pregnancy, and women's vascular health, particularly in relation to haemostasis and thrombosis. Director of the Manchester Academic Health Science Centre (MAHSC) and Chair of the Northern Health Science Alliance (NHSA), a cross sector collaboration of eight Universities and NHS partners, he is also Chair of the UK Regenerative Medicine Platform Board. He was a member of the UK Government’s Office for Life Sciences Industrial Strategy Board that developed the UK’s Life Sciences Industrial Strategy that was published in August 2017. In addition, he is Chair of the Scientific Advisory Board at the UK Antimicrobial Resistance Research and Development Centre. Speaking about his appointment, Professor Greer said: “It is a great honour and privilege to be selected as the 13th President and Vice-Chancellor of Queen’s University Belfast. I very much look forward to working, in partnership with staff and students, to build on the outstanding achievements of previous Vice-Chancellors including, in particular, Professor Patrick Johnston, a former colleague and fellow clinician. “I have great affection for Northern Ireland and tremendous respect for the University. Queen’s has an enviable reputation for research, education and innovation and plays a major leadership role in the economic, social and cultural development of Northern Ireland. Further details, and a short video of Professor Greer, are available on the University website here. Media inquiries to Claire Kelly, Queen’s University Communications Manager, telephone: +44 (0)28 9097 5391.